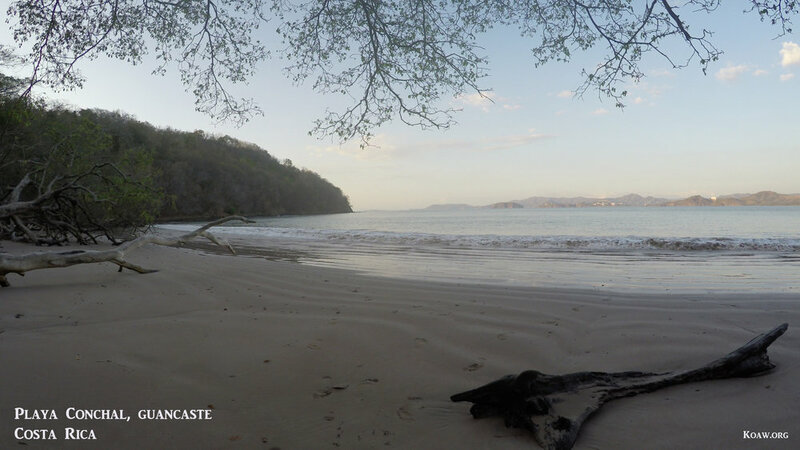 Costa Rica is an ecological gem in our world. 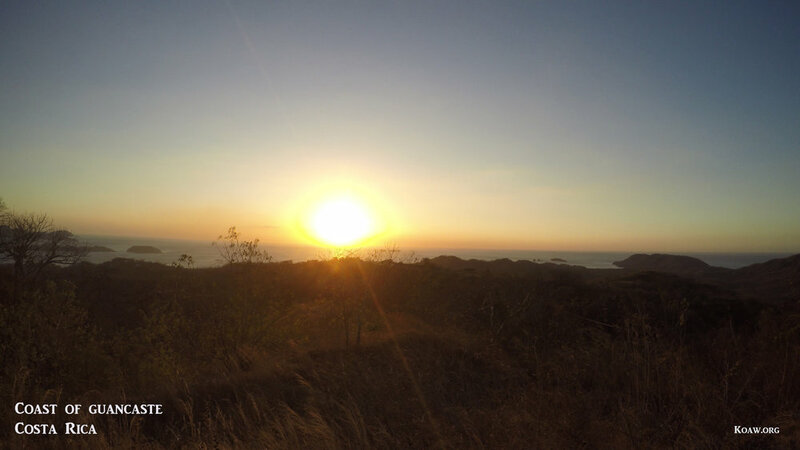 This small country, no bigger than West Virginia, lies south of Nicaragua and northwest of Panama, with the Caribbean Sea hugging its eastern shores and the Pacific Ocean to the west. Approximately 2-7 million years ago, the ocean floor slowly rose by tectonic movements, reconnecting the continents of North and South America; a reunion of landmasses after some 60 million years of separation. The resulting corridor of mountainous terrain and divided seas offered new pathways and opportunities for the spreading of species and the furthering of evolutionary processes. Speciation and migrations flourished atop and aside the terrestrial land bridge, resulting in the biologically diverse Costa Rica that we know today; so now, with only 0.034% of the world’s landmass, the country boasts around 5-6% of the world’s biodiversity—a ratio unmatched anywhere else on Earth. Impressively, in 2016 the country produced nearly 98% of its electricity by renewable resources, demonstrating an astounding ability to harness clean energy. Granted the small human population of approximately 5 million facilitates an easier transition away from dependency on hydrocarbons, the inspirational feat is no less admirable. The country strives to produce 100% of its electricity by clean energy in the near future. Recognizing the ecological importance to many species of plants and animals, including humans, over 25% of the national territory is protected by the National System of Conservation Areas. A lofty 27 national parks exist on land and in sea, as well as a number of other biological reserves. An abundance of microclimates exist in the tropical country, allowing anyone to experience a vast spectacle of habitats and creatures in short travels. A morning could begin in an urbanized valley, extend upwards into a highland rainforest, descend down into a savannah, and end on a pristine beach. Up to seven microclimates can exist at the same time around Laguna Arenal, the country’s largest lake. With the richest biodiversity in the world, acute environmental awareness, and increasing infrastructure supporting ecotourism, Costa Rica is a must-see destination for any nature lover. Wind turbines with cattle in foreground on the way to Laguna de Arenal. Costa Rica shares most of its borders with the Pacific Ocean to the west and the Caribbean Sea to the east. Generally, the Pacific Coast has a better established diving culture and offers great diving at sites such as Catalina Islands, Bat Islands, Gulf of Papagayo and the famous Cocos Islands which are 480 kilometers southwest off the coast. March to May generally offer good coastline snorkeling and diving, and for diving deeper waters, June to September offer good visibility. 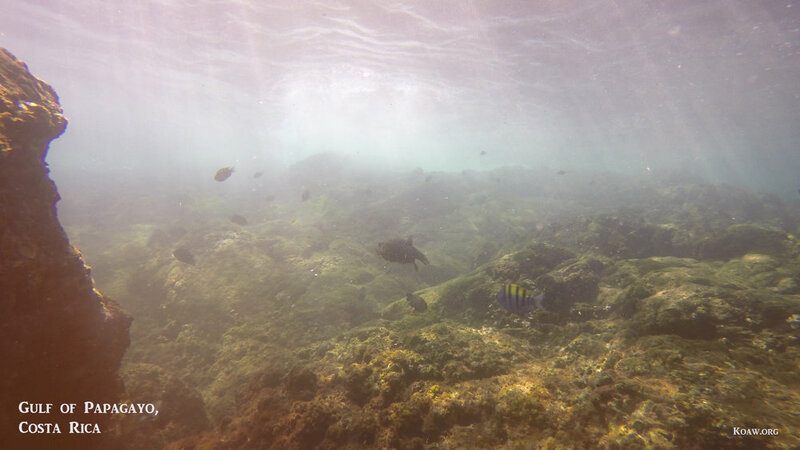 My companions and I set out to explore the rocky reefs in the Gulf of Papagayo, seeking to find the natural beauties that gracefully mingle beneath the ceaseless surface. For me, an enthusiast of ichthyology, a word which means “the biology or study of fishes”, I was eager to identify and swim with the aquatic creatures. Approximately 1112 species of fishes live in Costa Rican waters, 980 of which are marine. Costa Rica has a mere 0.034% of the world’s landmass with a similar portion of water territory and hosts more than 3.25% of the world’s fishes. That’s a lot of fishes for a small country! Tourist favorites are whale sharks, white-tipped reef sharks, white-spotted eagle rays, southern stingrays, morays, and colorful reef fish. Only some 2-7 million years ago did tectonic shifts raise the land of Costa Rica and Panama, cutting off a massive waterway. This separation aided in speciation, separating populations of fishes as well as other organisms; such as these Pacific white-spotted eagle rays (Aetobatus laticeps), a species that differs genetically from their close relatives (Aetobatus narinari) inhabiting the waters on the other shores of Costa Rica in the Caribbean and Atlantic. Every creature has a niche in its habitat. Acapulco majors (Stegastes acapulcoensis), a type of damselfish, aggressively guard a small section of territory from these Cortez rainbow wrasses—even against snorkelers venturing too close for comfort. These female Cortez rainbow wrasses (Thalassoma lucasanum), known as arco iris in Spanish, are of the polygynous harem of usually one larger male that varies in coloration, seen here with the purple body and yellow saddle. This species, and many other wrasses, are protogynous hermaphrodites, meaning they begin life as females and then, should an opportunity arise, develop into a male. Another damselfish hanging around this nearshore rock reef is the giant damselfish (Microspathodon dorsalis) or jaqueta gigante. The juveniles have gorgeous iridescent spotting before they develop into the more consistent dark-blue hue. This species primarily feeds off attached alga and will defend its feeding and breeding territory with vigor. The Panamanian sergeant majors (Abudefduf troschelii) or pintaño amarillo are often in large aggregations feeding on plankton and also benthic invertebrates and algae, easily seen by their fluorescent yellow bodies with black bands. They are close relatives to the sergeant majors (Abudefduf saxatilis) inhabiting the waters of the Caribbean. These sergeants are stenothermal, meaning they can only tolerate a narrow range of temperature. These eyesome guineafowl puffers (Arothron meleagris) wander around, feeding on the tips of branching corals as well as on sponges, algae and mollusks. This species also has a yellow variation. This species belongs to the order tetraodontiformes, consisting of other triggerfishes, porcupinefishes and filefishes. Their unique combination of fin undulations and oscillations make them easy to distinguish from other fishes as well as their roundly bodies. 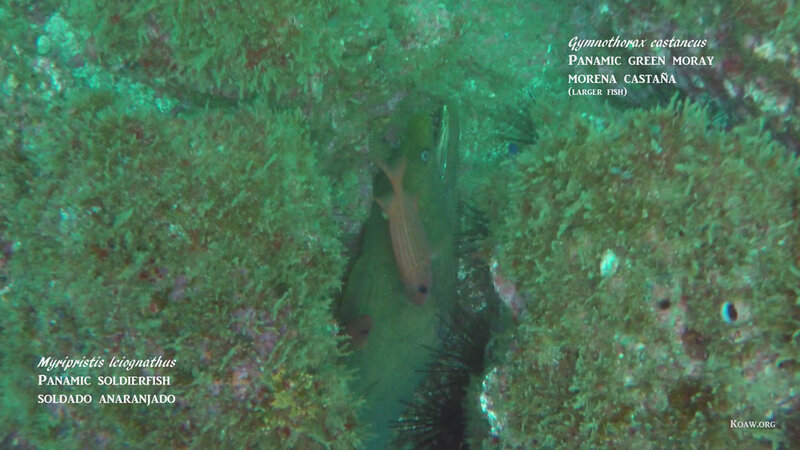 These freckled or longspined porcupinefish (Diodon holocanthus), or pez erizo by their Spanish name, are often seen, sometimes alone and sometimes in small aggregations. They have few natural predators because of specialized defense adaptations. They are capable of swallowing water and/or air to expand their body 3 times the normal size. Their spines are modified scales, the most elaborate scale modification of any of the bony fishes. Also, some porcupinefishes are poisonous as their internal organs possess tetrodotoxin, a neurotoxin 1,200 times more powerful than cyanide. Mostly they are a rather peaceful and curious, and definitely a marvel of evolution. Another tetraodontiform is the orangeside triggerfish (Sufflamen verres) or cochino in Spanish. These fish will blow water on the sand trying to uncover prey and dislodge urchins. Moray eels appear to be aquatic snakes, but alas, they are fishes. This beautiful fish, a mature dragon or rockmover wrasse (Novaculichthys teaniourus) or vieja dragón was a bit weary of my diving. Butterflyfish are ornamental types, appealing and easily recognizable for divers. This is a barberfish, or blacknosed butterflyfish (Johnrandallia nigrirostris), or in Spanish, mariposa amarilla. These mullets (Mugil sp. )school in shallow waters, often entering rivers or estuaries. This barred serrano (Serranus psittacinus) is a solitary fish. Angelfish are also in these shallow nearshore waters, such as this king angelfish (Holocanthus passer) or angel real. Easily identified by the white band behind the gill plate extending to the dorsum. The blue-barred parrotfish (Scarus ghobban) are a bit camera shy, where they’d rather by scraping algae from the rocks and corals. Many fishes have symbiotic relationships with other fishes, such as this juvenile pilotfish (Naucrates dutor) that has decided my companion, Galen, is a worthy host. Pilotfish engage in semi-obligate commensal relationships with sea turtles, sharks and rays while feeding on the excrement, ectoparasites and leftovers of their hosts. Juveniles are usually found around floating debris and jellyfish, so this little fella is quite ambitious to grow up. Reef cornetfish (Fistularia commersonii) or pez corneta blend into the water almost perfectly with their thin bodies and bluish coloration. A school of scissortail damselfish (Chromis atrilobata) can be mesmerizing in witness. It’s amazing to ponder that humans have only explored 5% of the ocean. Aquatic habitats are as foreign as they are fascinating, and we are absolutely dependent on their well-being. I firmly believe that teaching about fishes and marine life is the best way to conserve biodiversity and maintain fish populations—a universal truth of humanity is that we fear and abuse what we know little about. I encourage everyone to take 5 minutes to learn about an aquatic species that lives near them—nature is chalk full of interdependencies, relationships that sustain life, and humanity is not an exception to that law of nature. It’s all about loving the beautiful chaos of nature. These graceful Pacific white-spotted eagle rays (Aetobatus laticeps) depend on healthy habitats—as does this Pacific chupare (Himantura pacifica). There is more to come from Costa Rica—some great adventures and some fishes in deeper water further off the coast. Banks, J. R., Crook, M. J., & Ennos, A. R. (1997). The function of buttress roots: a compartive study of the anchorage systems of buttressed and non-buttressed tropical trees. Journal of Experimental Botany, 48(314), 1703-1716. Bussing, W. A. (1998). Freshwater Fishes of Costa Rica. Editorial Universidad de Costa Rica. Earth Trends. (2003). Biodiversity and Protected Areas - Costa Rica. World Resources Institute. Helfman, G. S., Collette, B. B., Facey, D. E., & Bowen, B. W. (2009). The Diversity of Fishes: Biology, Evolution, and Ecology (2nd Edition ed.). Wiley-Blackwell. Honey, M. (1999). Ecotourism and Sustainable Development: Who Owns Paradise? Washington D.C.: Island Press. Lieske, E., & Myers, R. F. (2004). Coral Reef Guide: Red Sea . London: HarperCollins. Lonely Planet. (2014). Costa Rica. Lonely Planet Publications Pty Ltd.
Reid, F. A., Leenders, T., Zook, J., & Dean, R. (2010). The Wildlife of Costa Rica: A Field Guide. Ithaca, New York: Cornell University Press. White, W. T. (2014). A revised genetic arrangement for the eagle ray family Myliobatidae, with definitions for the valid genera. Zootaxa, 3860(2), 149-166.